You got all comfy, you procrastinator, you. No more. Go time is now. 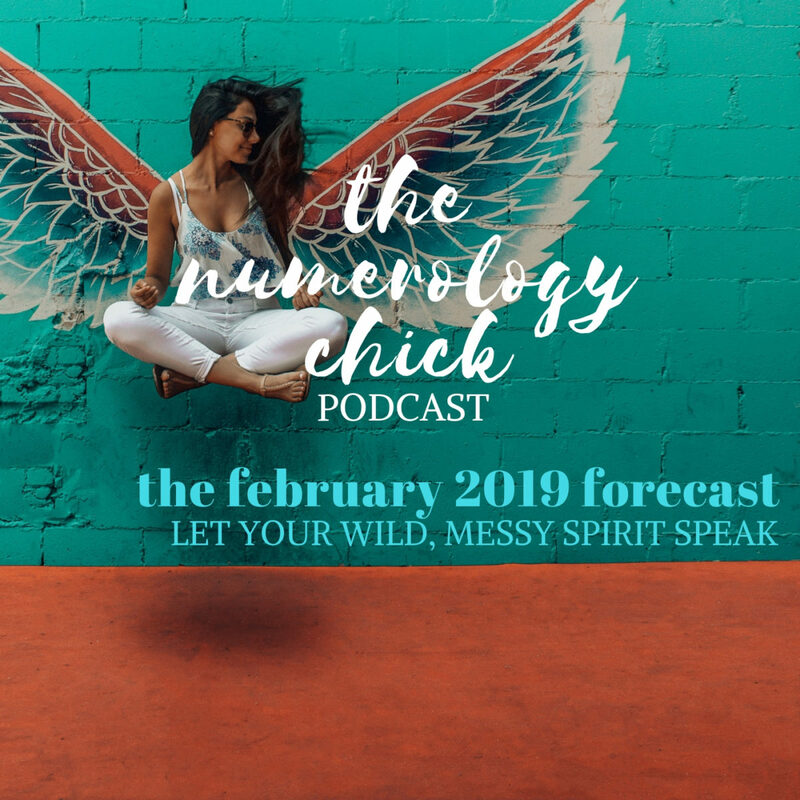 Learn how the 5 is pushing you to speak up and be messy this month. It’ll produce a kind of magic that you’d never dream of. P.S. Get messy below. What’s your thing? 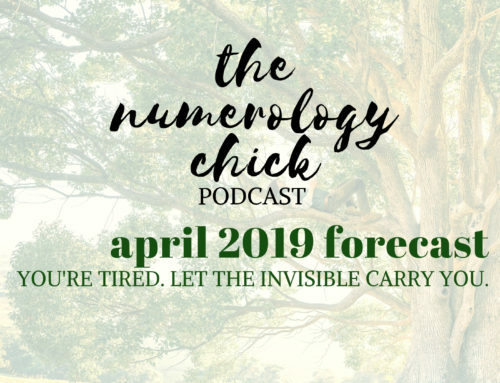 Love how your podcasts complement the vlogs on the Numerology site, and add the occasional new twist or expansion. You seem to hit the nail on the head so many times, too. Weird because I’ve set up a bunch of meetings for next week, but really the thing I’m pushing out is a book to agents. I pitched a couple in 2017 and it became obvious I needed to do more work on storycraft. Really excited for your next episode. Yes, yes, yes. This is the time for the pitch, Doug. It’s go time. It’s a good thing I didn’t listen to this podcast before our special hour this morning Natalie! I would have been merciless trying to get next months podcast revelation out of you!!!! But I would have made you laugh doing it too! I am so locked into your wisdom and your charm. That is to say nothing of your honesty. Thank you for your leadership. Paying you for your sessions is like coming back from the future and buying the perfect stock that will set one up for life….and you keep buying and buying!!! Its that good Natalie. If I had my way you wouldn’t be doing podcasts. You would be addressing the nation at 9 tonight!….but you would have to reveal next month’s revelation!! Hahaha… merciless, you see! Dear Nat, you have no idea how much this podcast means to me. Two big decisions I have to make one regarding my marriage and one regarding my purpose in this life. Inside me, everything is a mess not because I don`t know what I want but because I don`t know how to take the next step. I hope that God will push me in the right direction and give me the courage to follow my heart. I need to be my true self. To be honest, I believe my guardian angel sent you in my life because I need you, I need your wisdom, I need your encouragement. Thank you so much, I really appreciate what you are doing for all of us! <3 I know things feel messy right now - but there is a divine order behind it. I'm with you hand-in-hand as you make these changes. I don’t even know where to start commenting on this, Nat. Every point is brilliant, as usual. My great leap of faith is to move and get out of a really bad living situation.. I have been stuck for 4 years, I desperately need out, he will leave though he has been asked repeatedly, so if he wont go I have to and if I’m going to pack this whole house up and move then I don’t want to move across town I want to move to another state to get far away from him.. my daughter and only grandchild live in MI I would like to move there to be near them and to get to know my grandchild. What is holding me back is that I’m disabled and on a very limited income and have been unable to save money.. my daughter and I ran the numbers it will cost me 6,000. To move there, uhaul and tow thing for my vehicle, the gas I’ll need, food, a motel room because I can’t drive non stop it’s to far, first month rent and deposit, help with packing up and unpacking.. I have no way of coming up with this money, I’ve gone to all the agency’s and places I could think of and no one can help they sell your chemical and furniture but then I would need money to buy new/used stuff once I’m there so that doesn’t make since to me..
I’ve been desperately trying to manifest this money in winning a lottery ticket that didn’t work either.. For 4 years I keep hitting dead ends and it has been detrimental to my health, staying here is detrimental to my health.. I don’t know where to turn!!! I have to move out of this bad situation and sooner the better.. I was looking into an elderly independent living apartment building put my name on the list and they just called me on Thursday to say they have a place available, but I still have no cash to move with..
Grrrr universe please help me I feel now is my time!! Universe please I beg you get me out of here!! Please! Sorry I did not edit this before posting. It’s messy and I have skipped some words all together. Like (he will Not move out) of my house though he has been asked repeatedly. Chemical is supposed to be vehicle!! You’re so brave! =) cant wait for the next episode<3<3<3<3<3 You're Not "gonna die". It sound very interesting and I really like what you've got to say. I really needed to hear this. I have a business idea that I am so passionate about. It is a business that I want to open downtown and it currently does not exist. It is restaurant selling oracle cards and oills and anything and everything positive. I have seen such stores called Inner Parh, Mystic Moon, etc. I just have no clue how or where to start. When I pull cards I keep getting over and over that I am a healer, I am here to help people, that I am very intuitive I just don’t know how to start a business. I have even already found the building and the amazing thing to is the 2nd floor is a residential space where I could as as I am also trying to find a place to live. This idea and location is so perfect. I just need help in what and where to start now that I have the concept and location. I love your idea, Bryan! Hold it and carry it forth like the precious dream it is. 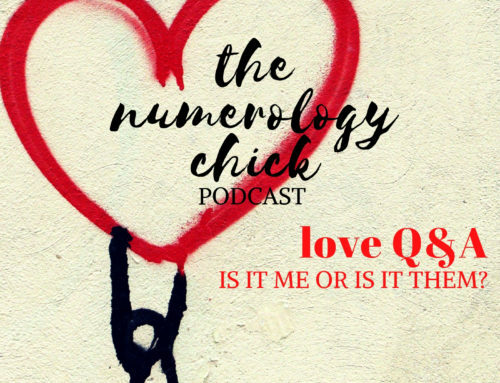 Hi Nat, thanks for a very interesting podcast, I’m an 11/2 coming out of a challenging 2018, 11/2 year My personal year is now a 5. I decided to retire 11/11/18, received notification in December , 5 month. I’m now looking for a place , country to live in this month for when I retire. Brexit not helping, as a births national. i have lived on France 25 years. So all change. 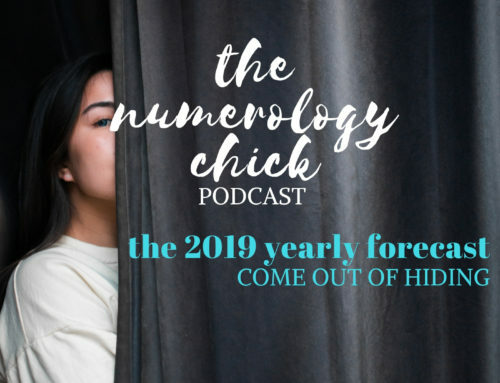 I use numerology a lot , but am also experimenting with Human design. I am a projector in this system. Attempting to drop the mind and make decisions from the body. My investigative profile wonders what your profile would be in Human design. I enclosed a link if you are curious. Funnily enough, I started to live in my Hobbit hole as it was put to me, so its about making this 5 energy come out not through my mind, but my authority(solar plexus). Hey Nat, I finally got a little messy this past week! I finally told off a useless doctor who keeps telling me there’s nothing wrong when I know I’m having thyroid problems. Thyroid is one of the most misdiagnosed problems there is, and I have every single symptom. I finally got the name of a specialist. And I trust the genius that you were gifted with. Go, go, go. I’m a faithful listener & 7 life path. Just replayed your Feb forecast for that extra push to stay motivated & focused on releasing my photo art out into the world this month – nothing like cramming it all into the last 2 days…so it will qualify as messy…as my work hits instagram & an Ecommerce store launch. I have been prepping for months but hit some roadblocks & more determined than ever to get it out there in bigger & better form than my current web presence. 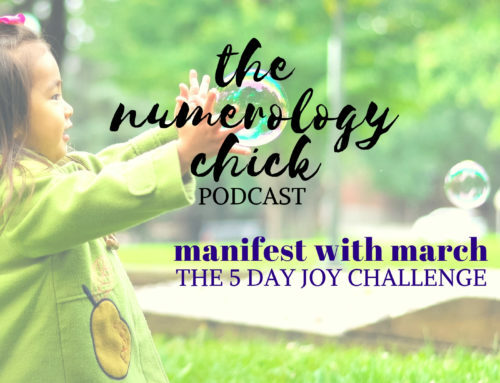 I purchased your Manifesting with Numbers course & absolutely adore it – so incredibly helpful & insightful. The timing couldn’t be better, As an artist & BC survivor I’ve been on an amazing upswing this past year, balancing health & creativity & getting out to socialize & have fun. Really just needed to let you know how much I cherish your forecasts. It totally feels as though we’re girlfriends chatting over coffee!! 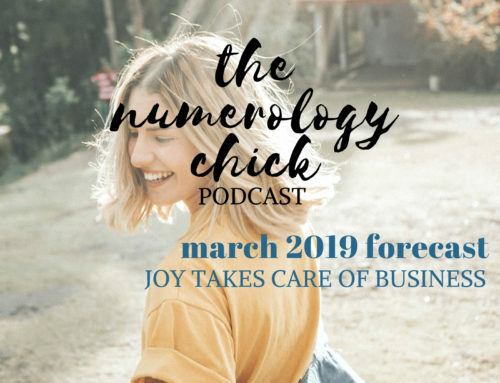 LOL I’d love the chance to work with you one on one at some point in the near future (after I manifest enough abundance to afford it ;-)) But in the meantime – I’ll look forward to your March forecast, & the follow up to your precious and timely release of Finding Love. Thank you for the guidance & inspiration to up-level & transform. YOU ROCK!!! PS…any tips on going deep into the ZPF?